Arkansas Baptist College is a four-year, private, coed, liberal arts college affiliated with the Ark…. 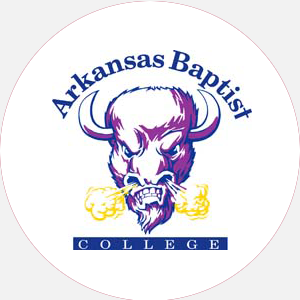 Arkansas Baptist College is a four-year, private, coed, liberal arts college affiliated with the Arkansas Baptist Consolidated Convention. Founded in 1884 as the Minister’s Institute, the name changed to the Baptist Institute before becoming Arkansas Baptist College in 1885. As a church-affiliated institution, Arkansas Baptist provides a liberal arts program in a Christian-centered environment. The college programs are designed to develop the academic, social, and spiritual potential of each of its students. Arkansas Baptist forms part of a cooperative center with Philander Smith and Shorter College in sharing resources and programs. Arkansas Baptist College is accredited by the North Central Association of Colleges and Schools to award the Bachelor of Arts and Bachelor of Science degrees. Percentage of student body that received financial aid: 97 Financial Aid Specific to the School Academic scholarships: Awarded by Arkansas Baptist based on achievement, standardized test scores, and extracurricular activities. Students should contact Financial Aid. Athletic Scholarships: Available to students participating in intercollegiate sports. Students should contact the Athletic Department. Graduation from an accredited high school (or equivalent) and completion of the following 18 units: 4 English, 3 mathematics, 2 science, 3 social science, and 6 electives; some foreign language recommended; submit official high school transcript; minimum 2.0 GPA. A application fee is required. A minimum of 124 credit hours and completion of core requirements, including 9 hours of religion; minimum 2.0 GPA; 30 hours in residence. Campus Services: Health services, career planning, and placement; student employment services; day care for preschoolers; remedial instruction. Campus Activities: Social and cultural activities include chorale and religious activities. August-May (semesters) Commencement and conferring of degrees: May One summer session. Bachelor of Arts: Liberal Arts/General, Religion/Religious Studies, Social Sciences Bachelor of Science: Business Administration, Computer Science, Elementary Education, Secondary Education, Social Work.